Dr. Gremban was born in Land o' Lakes, Wisconsin. He received his undergraduate degree at the University of Wisconsin - Eau Claire and received his Doctor of Dental Surgery Degree from Marquette University. An avid walleye fisherman and dedicated bow hunter, he enjoys being outdoors whenever he can. Dr. Gremban is a firm believer that learning does not end when one gets their diploma. He is dedicated to staying on top of dentistry and enrolls in continuing education classes every year. 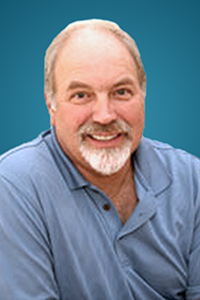 He has completed the core curriculum at the Las Vegas Institute for Advanced Dental Studies, Dr. Jay Gerber's Orthodontic Studies curriculum, Dr. Michael Piko's curriculum on implant placement and bone grafting along with a large variety of other courses related to implant dentistry and reconstructive dentistry. He has recently become a certified provider for Invisalign clear braces. He is a current member of the Academy of Cosmetic Dentistry and International Congress of Oral Implantologists.